One Mom's Moxie: Dads Backyard Oasis ~ A Father's Day Giveaway!!! Day extra special for one lucky dad by offering an amazing prize pack full of everything dad will need to create an oasis in his own backyard for summer-long grilling, entertaining and just plain, good ole relaxing. AHH! 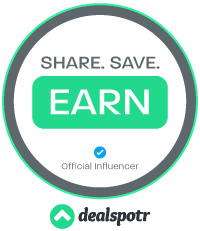 BLACK & DECKER for offering these amazing prizes! Cant wait to win these fabulous prizes? 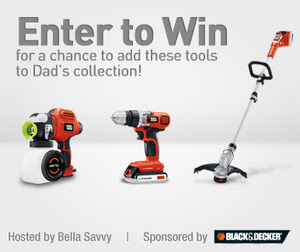 Black & Decker is offering all entrants a special 10% discount + FREE shipping on the purchase of items included in the Black & Decker's Father's Day Gift Guide. So get your orders in for dad, and be ahead of the game when Father's Day rolls around. Use code: FATHER10 at checkout.